Often situations arise where the primary heating solution is not sufficient or completely non-existent and it is necessary to find a fast heating solution such as support or integration. This is the case of the World of Construction and Road Construction sites. Biemmedue, a Piedmont company based in Cherasco, in the province of Cuneo, knows that hot air generators for industrial heating must be much stronger and powerful than those used in other industries. This is because these types of hot air generators are used in environments with no heating system and are subject to extreme conditions of use such as the very low winter temperatures. For example, heating a functioning road building site is very difficult but fundamental to ensure that work is carried out in the times and in the established ways. And it is also very useful for workers who at that construction site have to work at very low and rigid temperatures. A very important aspect, when choosing the right product, is the ability to use in difficult conditions. The generator must have a sturdy structure and high efficiency. The Bihemedue products that are part of the Arcotherm line, dedicated to professional heating, are very versatile and feature reduced usage costs. For this reason, they are fundamental elements for the construction and construction industry. In addition to the basic function of increasing the ambient temperature, the product allows to continue the work even at low temperatures and accelerate various processes. 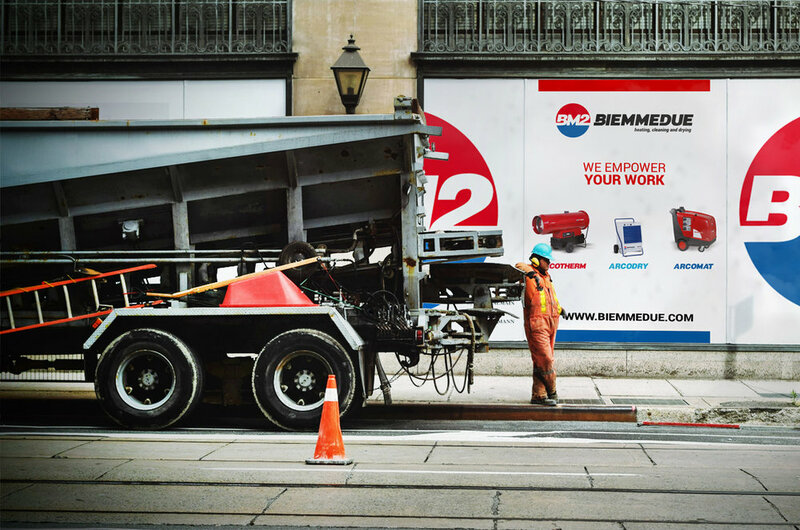 Thanks to the Bihemedue hot air generators, no cantiered will stop stopping during the cold winter or working under unfavorable conditions.